A prominent Canadian steel executive told MPs this week that Foreign Affairs Minister Chrystia Freeland​'s "ego" is getting in the way of ending American tariffs on Canadian steel and aluminum. Barry Zekelman, the chairman and CEO of Zekelman Industries, delivered a scathing assessment Thursday of how the Liberal government is handling the tariff fight with the United States, accusing the government of squandering opportunities to resolve the issue months ago. Zekelman, a Windsor, Ont. native who heads a steel empire that has operations in both Canada and the U.S, was asked by MPs about the impact of tariffs on his Canadian operations. "They have stalled and blown this big time, and our consumers and our industry in Canada is suffering because of it," Zekelman told MPs on the standing committee on international trade. "We're waiting for someone's ego. They need to get into a room and get the deal done ... whether Freeland picks up the phone and calls (U.S. Trade Representative) Robert Lighthizer and says here it is ... the deal is available this afternoon." Zekelman said he was making those claims based on his personal connections with U.S. President Donald Trump's circle; he said he has dined with Trump and has met with Lighthizer. He said he believes the Americans will drop their 25 per cent tariff on steel if Canada agrees to limit its exports into the U.S. through a quota system. "This can be solved. Literally, I can do it this afternoon," Zekelman said. "How do I know that? I've talked to Mr. Lighthizer myself." "We could have had that a long time ago. This is the worst negotiating I've seen," Zekelman said as he testified before the committee via video link. But two senior government sources tell CBC News that Canada is not interested in accepting any sort of quota system on steel or aluminum — and Ottawa has made that clear to the Trump administration. Last June, the administration invoked a rarely used national security provision — Section 232 — to impose 25 per cent tariffs on steel and 10 per cent tariffs on aluminum from multiple countries, including Canada and Mexico. Both Canada and Mexico responded with reciprocal tariff measures shortly after. It had been widely expected the tariffs would be lifted upon the successful completion of the NAFTA negotiations. But when all three countries reached an agreement in principle before the October 1 deadline for a new deal — the United States–Mexico–Canada Agreement (USMCA) — the U.S. did not remove the tariffs. "The best outcome for both countries would be for the U.S. to rescind their tariffs," said Adam Austen, a spokesperson for Freeland. "The unjust and illegal tariffs that the U.S. has imposed under Section 232 are separate and apart from the USMCA negotiations. We have taken strong responsive measures to defend our workers and our industry, including measured, dollar-for-dollar tariffs." Zekelman's comments came as the parliamentary committee has been taking a closer look at the impact of the tariffs on Canadian businesses and workers. Over several days of testimony, some business owners have told MPs they have been forced to introduce layoffs or reduce shift work as a result of the tariffs. Zekelman said that pain could have been avoided had the Canadians just accepted the American quota system. "They will do reduced shipments, or level shipments, but they will not do increased shipments," Zekelman said of the American negotiators. He also took a personal shot at Freeland over her difficult relationship with Lighthizer. "He can't stand negotiating with her because she's just not a businessperson. She's way out of her league." Zekelman has been outspoken on the issue of U.S. tariffs — and even welcomed the idea when it was first floated back in March as a way to crack down on the dumping of cheap steel, mostly from Asia. "Is that 25 per cent duty enough? I don't think it is and I actually think those duties should be much higher," he told CBC News at the time. But his previous comments suggested he thought that Canada would get some sort of exemption. "President Trump doesn't view Canada as an enemy," he said at the time. 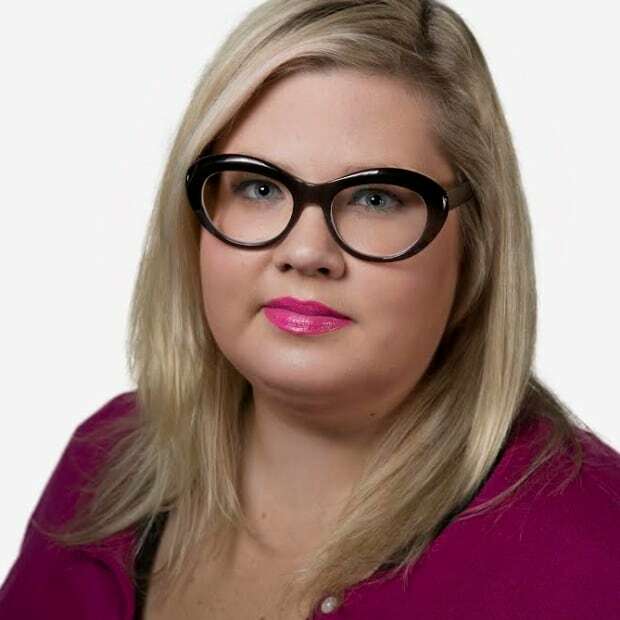 Katie Simpson is a senior reporter in the Parliamentary Bureau of CBC News. Prior to joining the CBC, she spent nearly a decade in Toronto covering local and provincial issues.